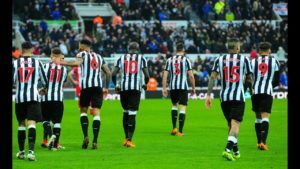 Betting tips Arsenal vs Newcastle – Is the game that ends the 32nd round in the Premier League. Arsenal is far from being quiet about achieving the goal of getting the Champions League qualification for the next season. The guests are closer to achieving the goal of keeping their first English roster, especially after the Cardiff failure at this stage. Anthony Taylor will host the game on Emirates. 1. Latest information before playing betting tips Arsenal vs Newcastle. Before this game, it ranks 5th in the championship, with 60 points in 30 matches. She was matched at Chelsea points and stays at one point behind Man. United, occupying the first place in the League. In the last round he beat Manchester United with 2-0. Lucas Torreira is still suspended. Bellerin, Wellbeck, and Holding are the long-term absences of the tuners. Xhaka, Ramsey and Monreal have physical problems and are uncertain. Occupies 14th place in the Premier League, with 35 points gathered in 31 games. He has a 7 point lead over the first place in the Championship. Now 2 stages has won with Everton (3-2) returning from 0-2, and in the last round equalized in the 94th minute on Bournemouth (2-2). Jamaal Lascelles returns after an injury and is eligible, according to Sky Sports. Longstaff and Elliot are the only injured visitors. 2. Probable teams Arsenal vs Newcastle! 3. 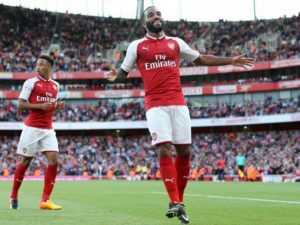 Information about direct Arsenal vs Newcastle meetings! Arsenal won 11 out of the last 12 straight defeats. “Cotofenele” have not won on Arsenal since 2010. Tourists have won the London 2-1. When playing on his own ground, Arsenal does it excellently. He has 9 consecutive Premier League victories on the Emirates, 7 of them with a minimum of 2 goals. Newcastle has an unfortunate history in confrontations with the London band and I do not see them change from this game. “Cotofenele” no longer feel the pressure of relegation so strong, and the matches that matter to Rafa Benitez are not against the Big Six teams. Arsenal has a much greater need for victory at this stage and I think it will do everything that depends on it to get it. I’m going on a win at least 2 goals difference in the hosts. If Arsenal defeats one goal, the stake is returned.